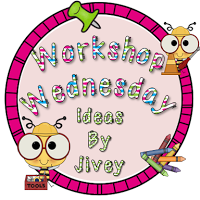 Workshop Wednesday-Writing Tips and Motivation! Time to link up with one of my BBB'S.... JIVEY! Jivey said it best, with Common Core our kiddos are expected to WRITE WRITE WRITE! I love to write, but what about those kiddos who don't have the same passion? How do we get them to write for extended periods of time, enjoy it, AND produce good work! Whole class writing workshops consist of skills that we need to work on, i.e.- grammar, editing, sentence structure, types of stories, etc. After I do a whole class lesson (usually with an anchor chart and examples) we will do a whole class workshop where students will practice that skill for 10 minutes. Then we share out what we practice! I also do a "My great and my problem" for 10 minutes of writing every Monday and Friday! My students LOVE these whole class writing journals. 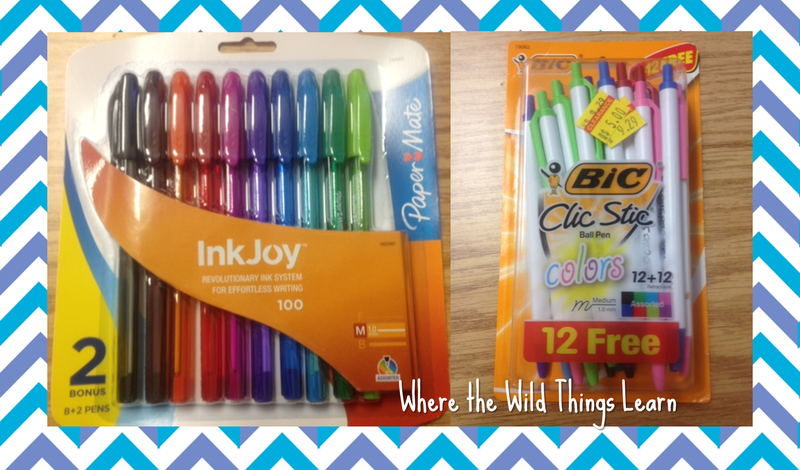 I have 10 total, and students can choose to write in these during writing time. They write creative stories that I can read and learn about them from! 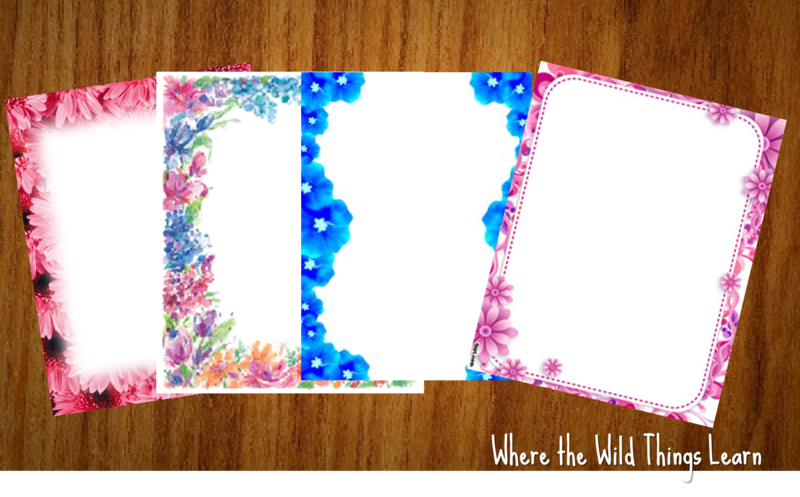 I use a lot of these little creative writing prompts that are FREE in my TPT store. 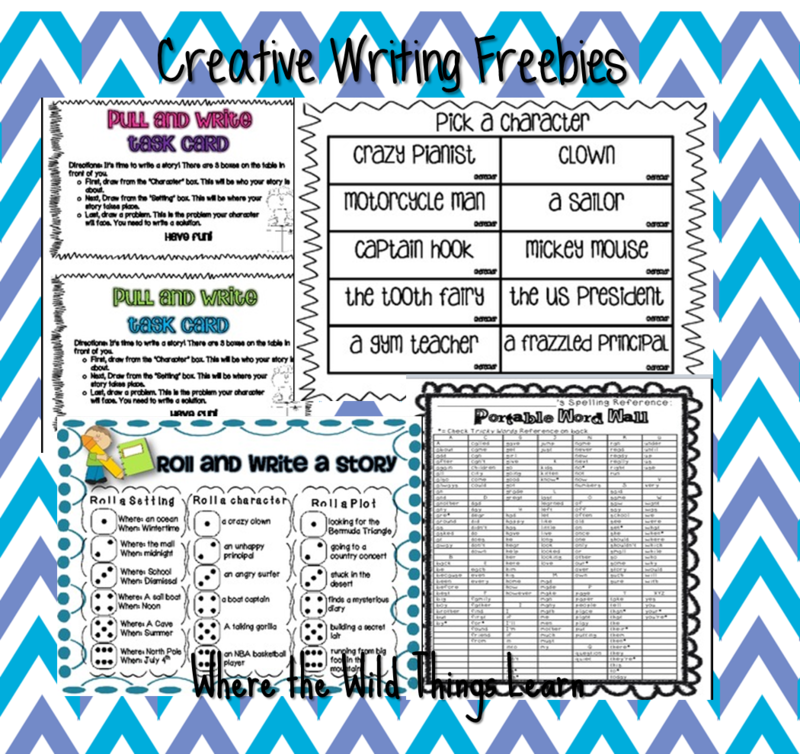 The Pull and Write is an activity where I put a character, setting, and plot box out with little laminated cards. 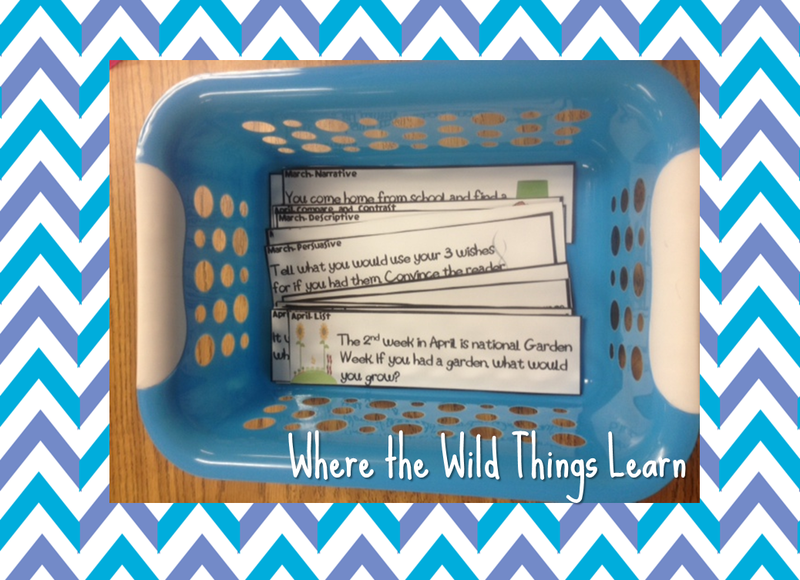 Students pull them and create a story out of them. The Roll and Write is similar, but students roll a dice to find out what they have to write about. The Portable Word Wall is stapled into my students journals at the beginning of the year for them to refer to for commonly misspelled/misused words. I also always keep writing prompts for each month of the school year. There are 10 prompts for each month, and they include Common Core writing types such as persuasive, list, descriptive, narrative, letter, and others! Students usually have the option to choose one of the above to work on during writing. When they are finished with a rough draft, I encourage them to edit and publish works they are proud of. 3.) My third tip is to encourage students to edit! To do this, I provide LOTS of colored pens. My students share my passion and love for color! So by offering them different colors to "code" their editing, they are more motivated to do it! 4.) Provide fancy "publishing" paper! My students can share their published work on "Featured Author Friday" and my students love putting it on pretty paper to share with the class! 5.) Clipboards! Jivey shared this idea too, and it totally words. My clipboard bin is incredibly popular in my room. Sitting on the floor and writing with a clipboard is like a game to my students, so hey, whatever works! Great ideas! I love the basket to hold all our your pull and write slips. 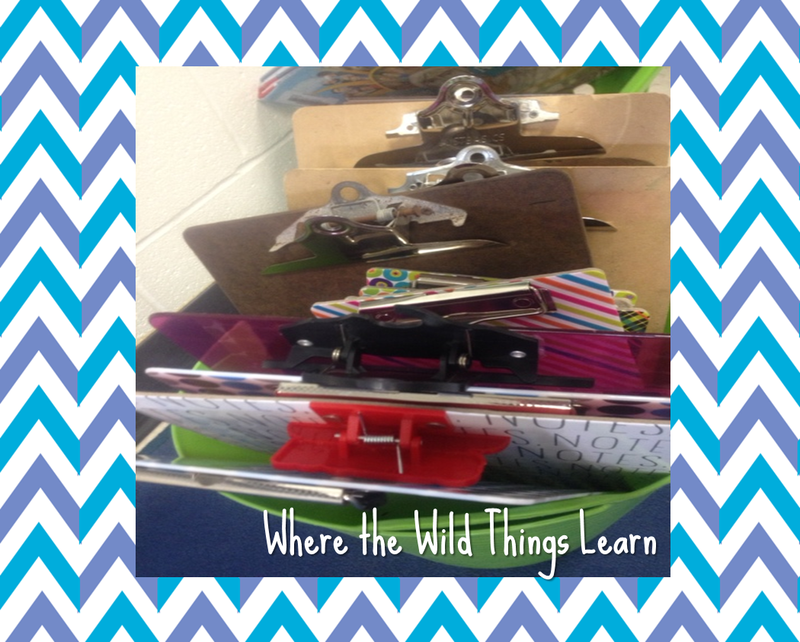 Love the pens, love the clipboards, love the writing prompts!!! 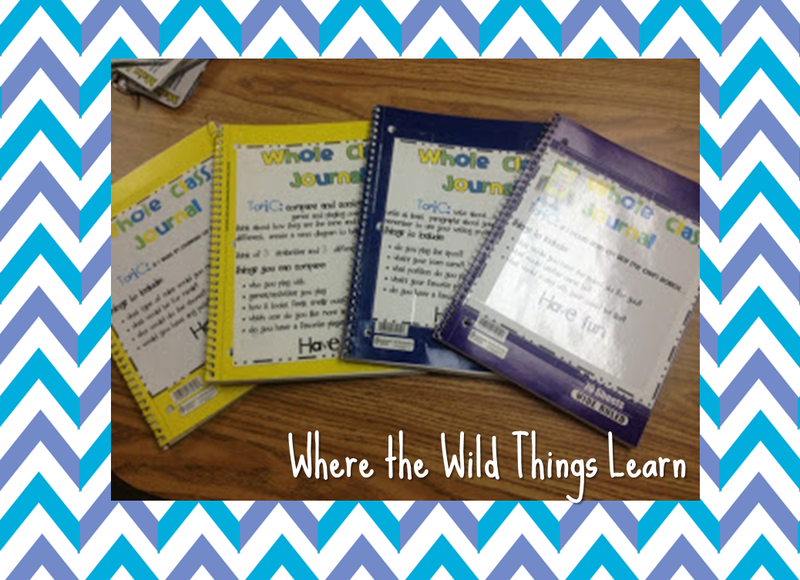 I am trying shared writing journals next year, can't wait! Thank you for sharing so many great ideas! My students love decorating their writing journals at the beginning of the year. I have them complete them at home during the first week of school and I am always amazed at how nice they turn out. This is Great! Young writers have a difficult time learning how to write and form sentences! This writing journal will be very helpful! You are so organized and have some great ideas for writing. The whole class journals sound so fun! I just found your blog! I am always on the lookout for other 4th grade teachers. 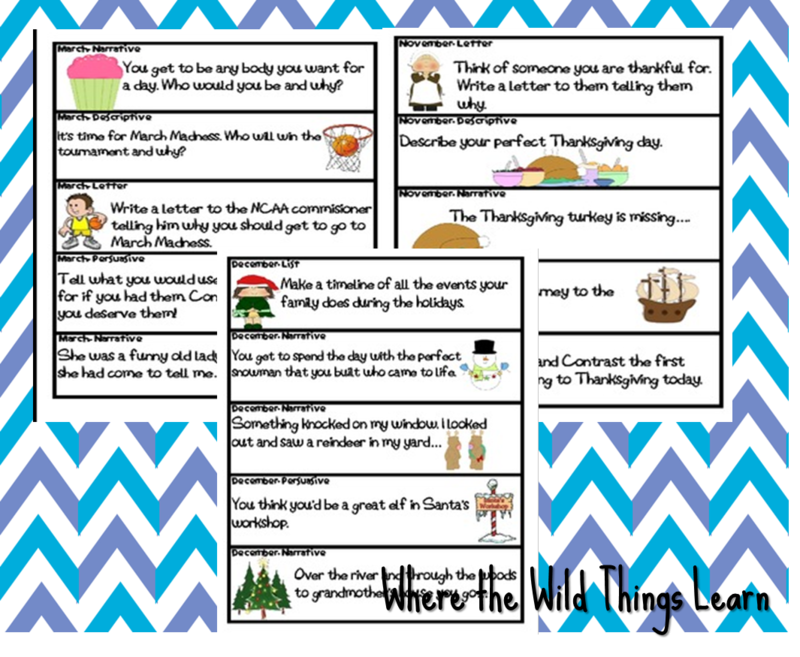 These are great ideas for writing! Thanks for sharing! I just found your blog and LOVE this post. I'm happy to be your newest follower!